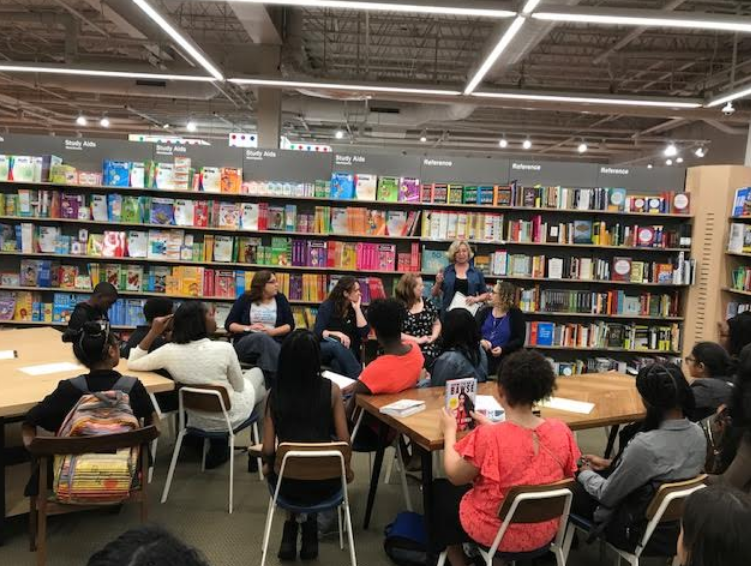 Students from five of the Mount Vernon City School District’s schools recently had a memorable experience meeting authors and learning about writing strategies during a trip to Barnes & Noble in Eastchester on Sept. 28. The 31 students from Mount Vernon and Thornton high schools, Benjamin Turner, A.B. Davis middle schools and the district’s Performing & Visual Arts Magnet School were part of the “Meet the Authors” workshop event, with teachers Al Ritacco, Anjanette Brown, Laina Joseph and Natasha Freeman-Mack joining them. “We were complimented on how well our students presented themselves, their questions for the authors, participation, sharing of their writing and how thrilled they were to be with the authors,” said Brown. MacKenzie Cadenhead, author of “Sleeper,” a book about a teenage girl suffering from a sleep disorder finds that an experimental drug cure comes with some unexpected and potentially deadly side effects. Jennifer Castle, author of “The Beginning of After,” her debut novel which opens a window onto the process of loss, transition and recovery when a teenage girl’s family dies in a horrific car accident and she struggles to put her life back together. Betsy Aldredge and Carrie DuBois-Shaw, authors of “Sasquatch, Love, and Other Imaginary Things,” their humorous and heartfelt debut novel about a loving, quirky family on the hunt for the mythical Sasquatch. Students were engaged throughout the trip, taking notes, sharing their own writing and gathering tips and tricks of the trade to be effective authors. 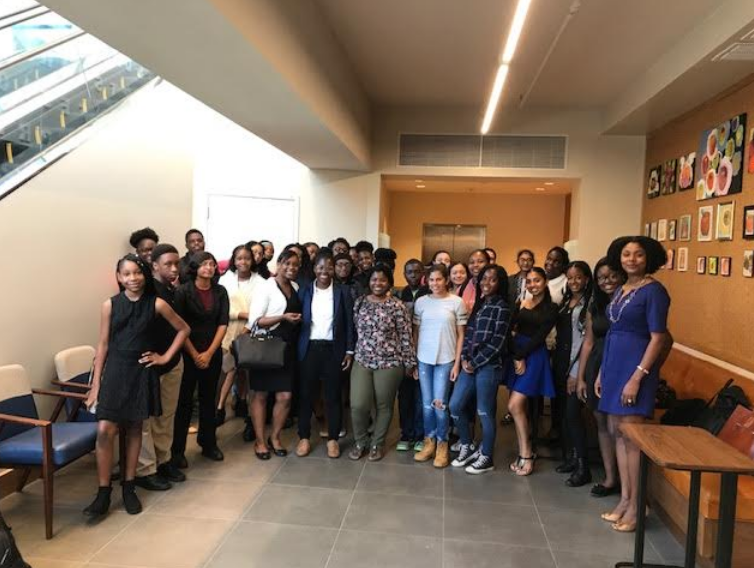 This workshop and trip could not have been made possible for students without the support of the district’s Standard Administrators from Curriculum and Instruction: Dr. Gayle White-Wallace, Frank Gallo and the administrative assistant, Sheena Bell, Freeman-Mack added.